After a slight change of direction, I’ve been busy working on lots of new things. 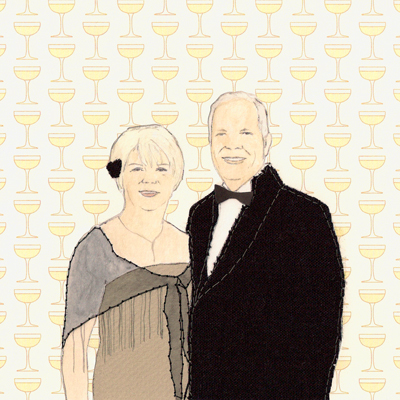 The new work includes wedding and event invitations, recipe cards, greetings cards, and postcards, as well as original mixed media collages. Here’s a taste of what’s to come! 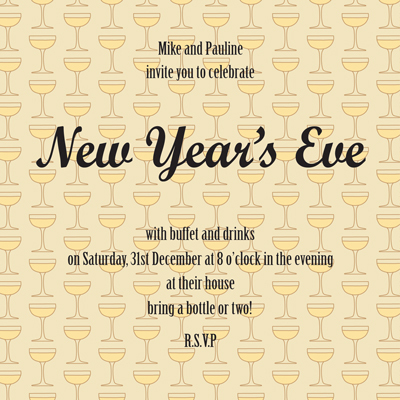 Above is the design I used for my parents New Year’s Eve party, (an event with plenty of Champagne!) 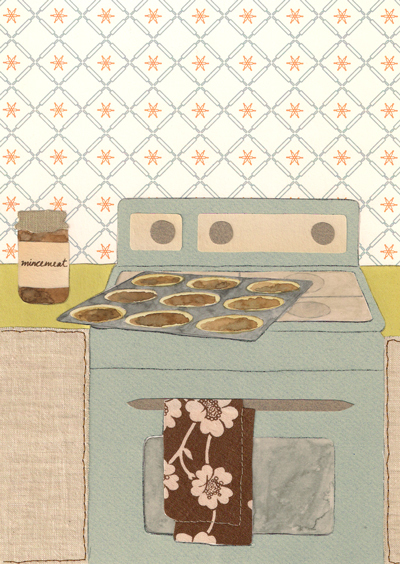 The invitations were made from prints of the original collage (watercolour, fabric, paper and stitch). 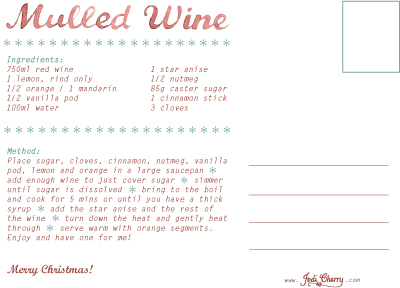 These recipe postcards are festive editions, but there will be many more to come in the new year. 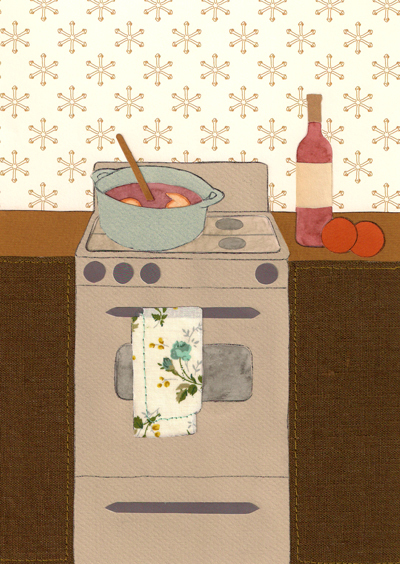 They are printed from original collages using watercolour, paper, fabric and embroidery. The first range will be focused on typical Spanish dishes, making them ideal for tourists that don’t have much time to write a message, but want to send a taste of their holiday to someone at home. 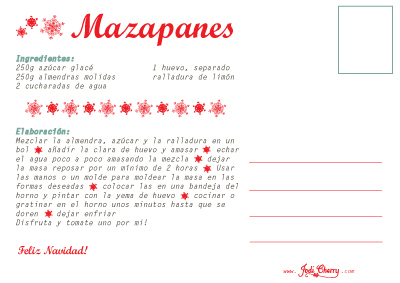 They also make a great souvenir of your holiday or nice gift. 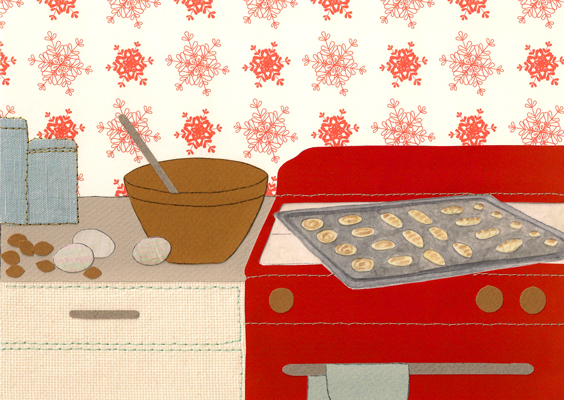 It would be great to know what you think would make good recipes to feature on future postcards.